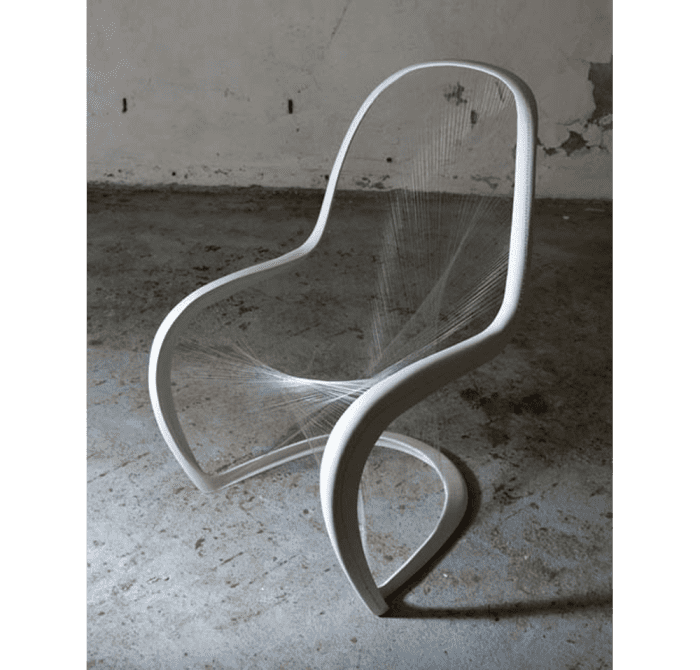 Would you say that the Panton chair, with its modern design and sinuous line, is celebrating its 50 year anniversary this year? Its father, Verner Panton, came up with the idea of a stackable cantilever chair back in the 1950’s, and at first he had it produced in plywood with the name of S-chair. His eccentric mind was decided to translate the same design into plastic, material that was becoming more and more used at that time. But since the chair is made of one single piece of material, this project was rather revolutionary and it took Mr. Panton several years to find a company that would actually produce his chair. In the 1960’s he got in contact with Willi Fehlbaum (founder of the Swiss company Vitra), who embraced the new challenge with enthusiasm. In 1967, the Panton chair was mass produced for the first time by Vitra for the furniture company Herman Miller. It was the first plastic chair ever produced in a single piece, and this earned it a place among the masterpieces of Danish design. 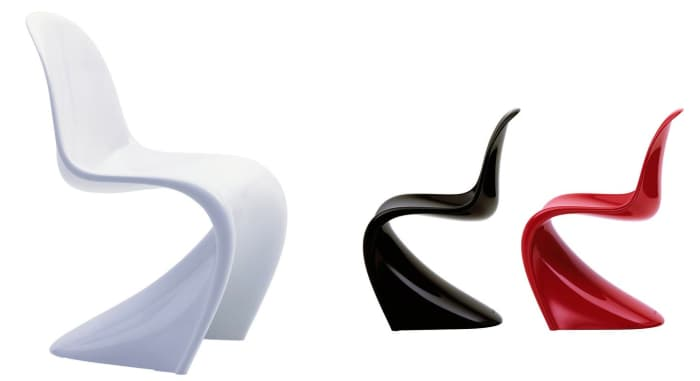 The original version of the chair – sold today with the name of Panton chair classic – has a glossy lacquer finish and comes in timeless white, black and red. These days, the Panton chair is also produced in a number of different colours, from ice grey to chartreuse, all with a mat finish. And how to forget the version for children? 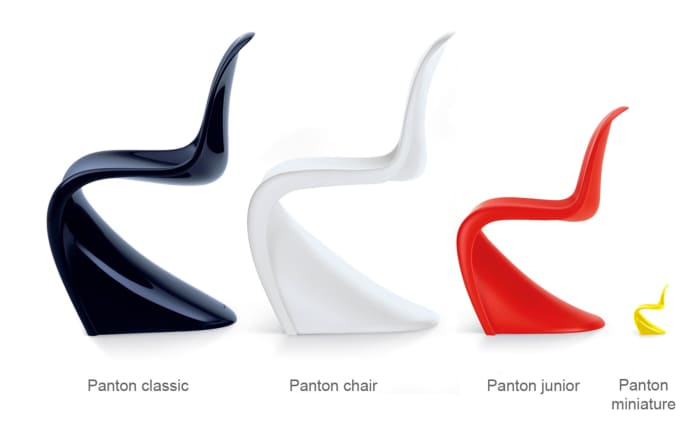 Panton conceived it together with the adult model, but it was then produced only in a second stage. The Panton Junior is 25% smaller than the regular size and it’s just the cutest thing ever! 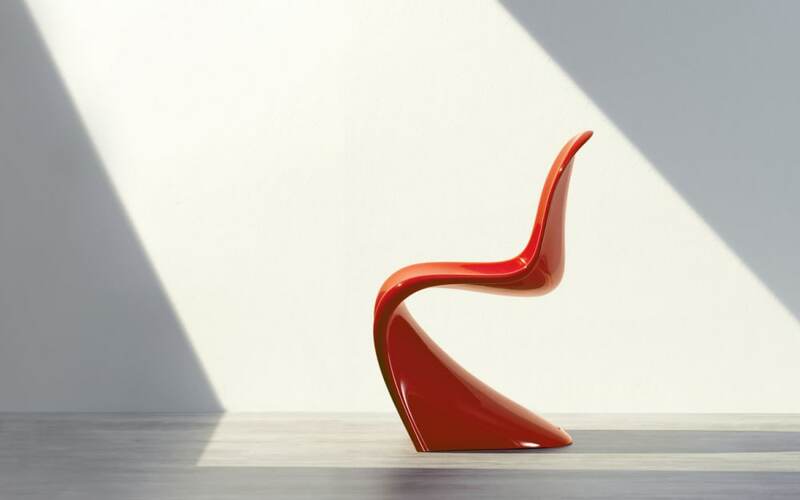 With its streamlined design, the Panton chair matches beautifully with the most diverse styles. 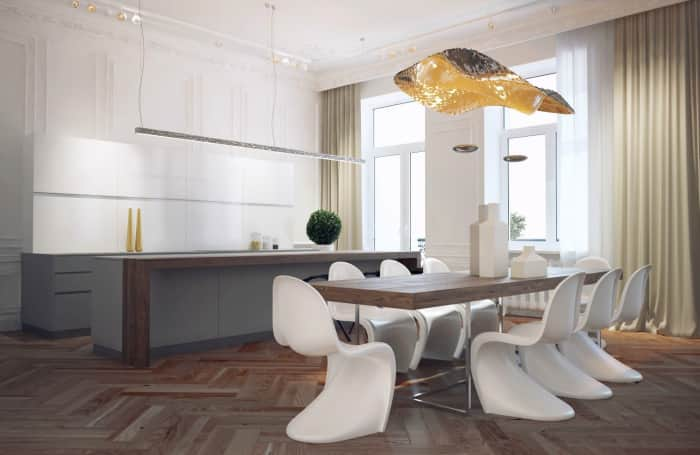 A white Panton chair pairs equally well with a mighty classic table or a sleeker and much more modern one. 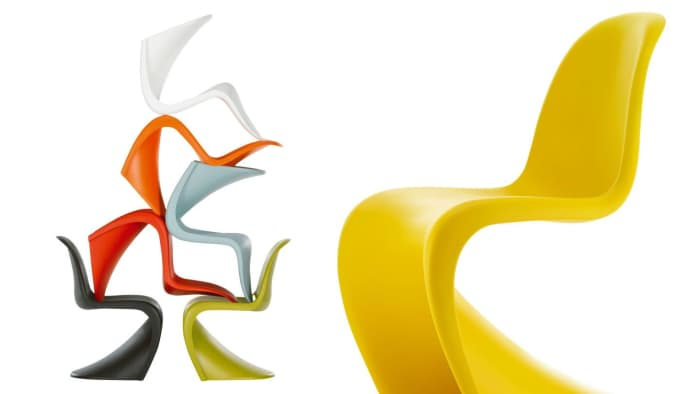 A bold chartreuse Panton chair is perfect to create a striking contrast with the black furniture of a modern interior. 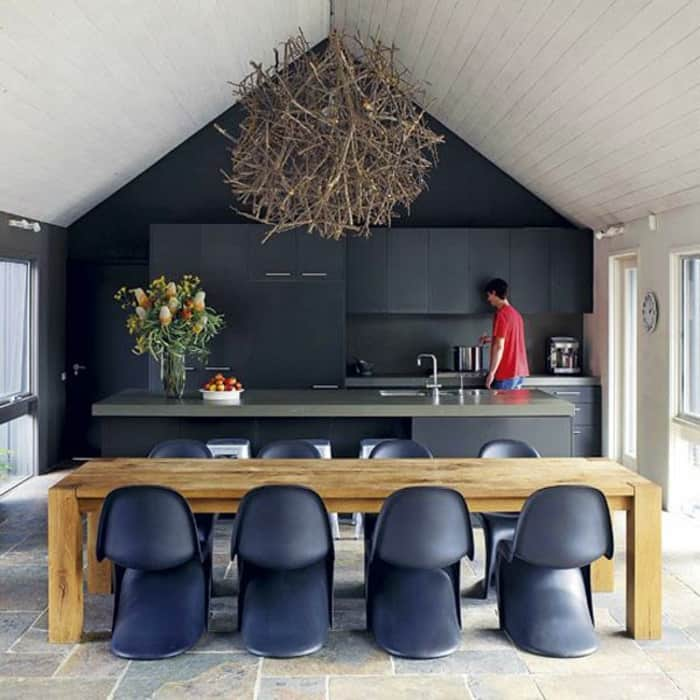 Here, the dark of the chairs and the kitchen area is softened by rough wood elements, resulting in an interesting blend of modern and rustic. To finish off, here is a mesh version of the Panton chair. It has been developed by Jump Studio’s in occasion of the British Panton Chair competition, organized by Vitra UK for the 50th anniversary of the iconic chair. This is the winning project; do you like it? I find it absolutely mesmerizing!